Former parliamentarian and presidential adviser Bharatha Lakshman Premachandra known as “Lucky Aiya” was gunned down along with three of his bodyguards in Mulleriyawa on October 8, 2011. 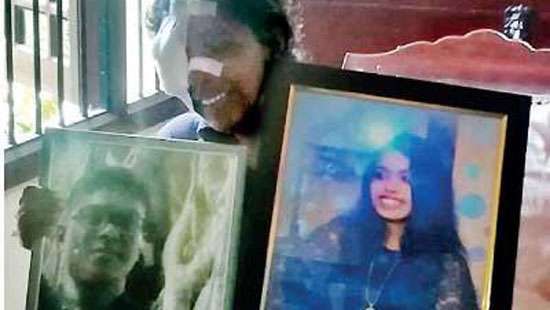 The past few years has been a taxing period of struggle for Bharatha’s daughter Hirunika Premachandra -- now a Colombo district MP -- as she sought justice for her father’s killing. Finally Hirunika’s quest for justice triumphed on September 8, 2016 exactly four years and eleven months after Bharatha’s death. According to newspaper reports a tearful Hirunika Premachandra, who had regularly attended the trial proceedings of her father’s killing told reporters outside the court room that the verdict in the case may have been very different if the Government had not changed last year. Bharatha Lakshman Premachandra and three of his bodyguards were killed in what was described as a shoot-out near the Walpola Junction close to the Mulleriyawa town about six miles away from Colombo City. Another bodyguard was seriously injured. Elections to several local authorities were being held on that day. Among these was the Kotikawatte-Mulleriyawa Pradeshiya Sabha. Bharatha Lakshman had been engaged in hectic canvassing for his protégée Prasanna Solangaarachchi when the incident occurred. The clash was not between two rival political parties. It was between two groups of fellow United Peoples Freedom Alliance (UPFA) activists. One group was led by Bharatha Lakshman while the other was led by the then Colombo district MP Duminda Silva.Those who had witnessed the incident told the authorities as well as the media that Duminda Silva had provoked the clash and along with his sidekicks had been responsible for the deaths of Bharatha and three others. There was however an inordinate delay in effective legal proceedings being instituted. There was a long period of perceived procrastination attributed euphemistically to the law’s delays. Most people however suspected that the close relationship between Duminda Silva and the then defence secretary Gotabaya Rajapaksa was the crucial factor obstructing or thwarting the due course of justice. Gotabaya, the younger brother of former president Mahinda Rajapaksa was regarded as the second most powerful person in Sri Lanka during the Rajapaksa rule. The matter dragged on for years and it was widely believed that the aphorism, “Justice delayed is justice denied” was proven true in this instance also. In an understandable yet naive bid to secure justice while working within the ruling establishment, Premachandra’s widow and daughter associated closely with President Mahinda Rajapaksa. Sumana Premachandra like her late husband was appointed as an adviser to President Rajapaksa. Hirunika Premachandra identified herself with the ruling Rajapaksa regime. In 2014 she contested the elections to the Western Provincial Council on the UPFA ticket. She won from Colombo district topping the list of preference votes. In spite of all these efforts the quest of justice for Bharatha seemed as elusive as ever. Hirunika’s opportunity came when Maithripala Sirisena broke ranks with the then Government in November 2014. She seized the moment by hitching her wagon to the star from Polonnaruwa. In 2015 Hirunika contested the parliamentary elections from the Colombo district on the United National Party (UNP) ticket and won. Duminda Silva however was denied nomination for the polls by President Maithripala Sirisena. The advent of a new dispensation under President Maithripala Sirisena and Prime Minister Ranil Wickremesinghe saw a fresh breeze blowing in the musty judicial corridors. The Attorney-General filed an indictment in courts on March 2015 on charges of killing Bharatha Lakshman Premachandra, Dharshana Jayathilake, Mohamed Azmi and Manivel Kumaraswamy and inflicting gun shot injuries on Rajapurage Gamini. The indictment consisted of 17 charges against 13 suspects including Duminda Silva. Chief Justice Kanagasabapathy Sripavan appointed in May 2015 a three-member bench for Trial-at-Bar proceedings. The bench comprised three high court judges -- Shiran Guneratne (President), Padmini Ranawaka Goonettillake and M.C.B.S. Moraes. The Trial-at-bar proceedings began on May 22, 2015. The case was heard on a regular basis from September 12, 2015. 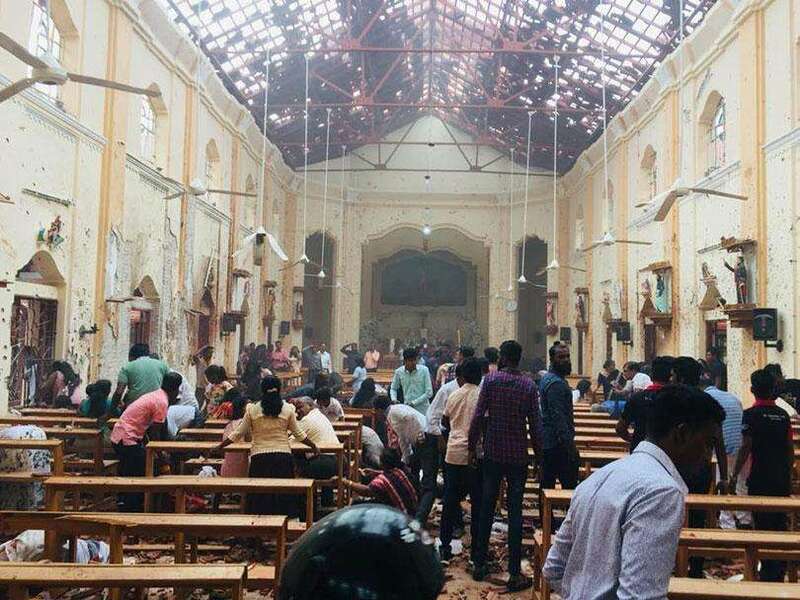 The names of the 13 accused were Chandana Jagath Kumara, Lanka Rasanjana, Malaka Sameera, Widanagamage Amila, Suranga Premalal, Saman Kumara, Saman Abeywickrema , Rohana Marasinghe,Duminda Silva, Anura Thushara de Mel, Chaminda Ravi Jayanath alias Dematagoda Chaminda, Dissanayake Mudiyanselage Sarath Bandara and Janaka Bandara Galagoda. The last named was tried in absentia as he was absconding. The accused were charged under sections 296, 140, 146, 147, 486 and 300 of the Penal Code and some clauses of the Firearms Act. Among the 17 charges were, committing and conspiring to commit murder of four individuals, attempted murder, possessing illegal firearms, inflicting gunshot injuries, unlawful assembly and criminal intimidation on or around October 8, 2011. President’s Counsel Anil de Silva appeared for Duminda Silva while Counsel Anuja Premaratne, Nalin Indatissa, Nalin Weerakoon, Asela Rekawa and Asoka Weerasuriya appeared for the other accused. A team of lawyers from the Attorney General’s Department led by Deputy Solicitor General Thusith Mudalige prosecuted. Nearly 42 witnesses testified in Court. while 126 documents including the Government Analyst’s reports and JMO reports were produced. The proceedings concluded on July 14, 2016. The verdict in the high profile trial was delivered on September 8, 2016. It was a divided verdict with two of the three judges finding five of the accused guilty and acquitting eight others. High Court Judge Shiran Guneratne exonerated all 13 accused in the murder trial citing lack of integrity of the witnesses produced by the prosecution and the inability to prove charges beyond reasonable doubt. He said the benefit of doubt should go to the accused. Fellow High Court judges Padmini Ranawaka Goonettillake and M.C.B.S. Moraes differed resulting in a two to one majority verdict. Judge Gunatilleke pronounced the majority verdict in the packed courthouse with Judge Moraes concurring. She said the prosecution had proved during the trial that the provocative conduct of the eleventh accused Duminda Silva led to the whole incident.The Judge further observed that the evidence submitted has proved that Duminda Silva had provided leadership to the unruly behaviour of the mob and therefore he should be held responsible to what happened. She said the JMO reports had revealed that Duminda Silva was under the influence of liquor at the time of the incident, but that Bharatha Premachandra was not so.The verdict also rejected the argument put forward by the defence during trial that Duminda had been shot at first by the Premachandra faction. Court acquitted and discharged eight accused -- Chandana Jagath Kumara, Lanka Rasanjana, Malaka Sameera, Widanagamage Amila, Suranga Premalal, Saman Kumara, Saman Abeywickrema and Rohana Marasinghe. Five accused -- Duminda Silva, Anura Thushara de Mel, Chaminda Ravi Jayanath alias Dematagoda Chaminda, Dissanayake Mudiyanselage Sarath Bandara and Janaka Bandara Galagoda -- were sentenced to death. The tenth accused Janaka Bandara Galagoda was tried in absentia and convicted. In addition to the death sentence, they were also fined Rs.40,000 rupees. Thus descended the curtain upon a dramatic murder trial that had captured the nation’s attention for many months. One important reason for the extraordinary focus on this particular murder trial was due to the charismatic personality of the premier victim himself -- Bharatha Lakshman Premachandra. Bharatha Lakshman was someone I knew and interacted with slightly in the eighties of the last century. I wrote about him when he was killed in 2011. I shall however rely upon my earlier writings and focus on Bharatha Lakshman Premachandra at this juncture. Bharatha Lakshman Premachandra was literally and metaphorically a “child of fifty-six” (Panashaye daruwo). He was born on January 26, 1956, which was Indian Republican Day. This was why his parents named him “Bharatha”. He belonged to a generation whose day in the sun had been ushered through the 1956 revolution of SWRD Bandaranaike. But to his credit Bharatha Lakshman was not a Sinhala chauvinist or supremacist. This was what endeared him to me most. His mentor and leader was the late Vijaya Kumaranatunga. Like Vijaya, Bharatha too was devoid of communal leanings. He stood for a multi-ethnic Sri Lanka where the minority ethnic groups would not be discriminated against. While being firmly committed towards the unity and territorial integrity of the country, Bharatha was also supportive of power-sharing through devolution. The Tamils and Muslims lost a great friend when he was killed. Bharatha came from a non-elitist but progressive background. His father worked at the Ceylon Petroleum Corporation and was an active trade unionist, a socialist and supported the Trotskyite Lanka Sama Samaja Party (LSSP) in those days. The son inherited the father’s leftist perspective. Bharatha was one of seven children, two boys and five girls. At the time of his birth the family was living in Wellampitiya. Later they moved to Kolonnawa. The Premachandras were not rural folk but lower-middle-class semi-urbanites. Bharatha Lakshman studied at Ananda College, Colombo. After leaving school he is reported to have worked for a very short time as a bookkeeper’s assistant. However, he took to political activism in his early twenties and virtually devoted himself to full time politics. Despite his left leaning tendency Bharatha Lakshman joined the Sri Lanka Freedom Party(SLFP) in 1979. TB Illangaratne who represented Kolonnawa electorate in the late sixties and early seventies was the party organizer. Bharatha’s idol and leader was Vijaya Kumaranatunga and became engaged in trade union work for the party. This was the time when the United National Party (UNP) under President JR Jayewardena was ruling the roost in Sri Lankan. Kolonnawa was represented by Weerasinghe Mallimarachchi. and the SLFP was a feeble force facing overwhelming political odds. The party itself was faction-ridden and ineffective. The spirit of defiance, protest and resistance within the demoralized party was spearheaded by Vijaya. Bharatha was one of the many courageous youth who were inspired by the charismatic politico-actor.The 1982 presidential elections where Vijaya worked tirelessly for Hector Kobbekkaduwa was a campaign in which Bharatha cut his political teeth. Kolonnawa was then under the thuggish rule of Mallimarachchi and his sons. It was a formidable task to paste anti-UNP posters, distribute leaflets and even hoist the SLFP flag. Bharatha Lakshman was courageous enough to give the lead in these matters despite the Mallimarachchis and their minions. It was during this time that I first met Bharatha Lakshman through a friend and fellow journalist on “The Island”, Ajith Samaranayake. I can recall a prolonged discussion lasting several hours with him. Interestingly Bharatha had requested Ajith for a meeting and wanted me to participate in it. I remember vividly Bharatha trying to convince Ajith and myself that violence could only be met and overcome by violence. He would say that UNP authoritarianism in general and Mallimarachchi’s hectoring in particular left him no choice but to offer fierce counter resistance. Looking back, I feel that it was this situation caused no doubt by the then hegemonic UNP that moulded and shaped his future politics. The brave young political lieutenant prepared to face violence with violence for his party and leaders transformed into a captain who relied on the adage “brothers are not helpful as blows”. Going on the campaign trail with Kobbekkaduwe and Kumaranatunga to the North during the 1982 Presidential poll had broadened Bharatha Lakshman’s political horizons. He was happy that the Tamil people were bold enough to vote against the UNP despite its hegemonic authoritarianism. The fact that more Tamils in Jaffna voted for Kobbekkaduwe than Jayewardena was a source of heartening satisfaction to him. Bharatha’s soft corner towards minority ethnic groups extended to the Muslims also. A veteran Muslim journalist told me about how Bharatha had helped the Muslims in the area. A large number of Muslims have moved into the Kolonnawa region in recent times. When the Muslim people tried to construct mosques in their new areas of habitation some persons belonging to the majority community resented it and tried to block it. The Muslims turned to Bharatha who intervened in the matter and resolved it amicably. Several mosques have been constructed without any communal disharmony due to Bharatha’s efforts. Bharatha Lakshman, due perhaps to the influence of Vijaya Kumaratunga, had an enlightened attitude and approach towards the Tamils and Muslims. He kept the Kolonnawa area a safe haven for Tamils and Muslims to reside in. The large number of minority community mourners at his funeral testify to his bona fides on this key aspect. Even the ethnic groups of his three bodyguards killed along with him are suggestive. One was a Sinhala, one a Tamil and one a Muslim. Within weeks of the meeting with Ajith and myself where I got to know Bharatha Lakshman extremely well, the fiery particle was in custody along with his hero Vijaya. This was the time when JR came up with the notorious “Naxalite conspiracy” charges against Vijaya and his supporters and jailed them. This was a ploy to keep them out of the controversial referendum polls campaign. Bharatha Lakshman now identified as an efficient deputy of Vijaya was also arrested. The Police encouraged by politicians in power offered the young man a way out of incarceration. Bharatha Lakshman was asked to betray his leader by making a statement implicating Vijaya. If he did so he would be set free without any conditions, Bharatha was told. The young political activist was made of sterner stuff. He refused to do so. This honourable refusal was indeed laudable and was perhaps the turning point where the “boy” became”man”. Later the so-called “Naxalites” in the SLFP were all released unconditionally. Vijaya and Chandrika split from the SLFP and formed the Sri Lanka Mahajana Pakshaya (SLMP) in 1984. Bharatha Lakshman too followed in their footsteps and was one of the founder members of the SLMP. He immersed himself in developing a trade union movement within the party. Bharatha was particularly successful at the Colombo harbour. Later he was appointed SLMP organizer for the Kolonnawa electoral division. Vijaya and Chandrika held positive views on the resolution of the Tamil national question. They were bold enough to travel to India and meet the Tamil militant group leaders. 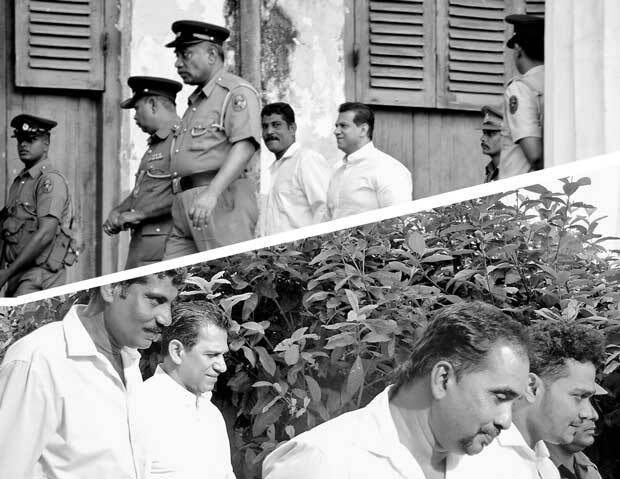 Later Vijaya along with Ossie Abeygoonesekara and Felix Perera went North and met the LTTE Jaffna commander Sathasivampillai Krishnakumar alias “Kittu”. Bharatha Lakshman was excited about these happenings and firmly supported Vijaya’s initiatives. I remember Bharatha giving me a video cassette of Vijaya’s Jaffna trip and waxing eloquent about the breakthrough this would cause in Sinhala-Tamil relations. Alas!That was not to be so. The Indo-Lanka accord was signed on July 29, 1987. The SLMP despite its opposition to the dictatorial JR welcomed it. Vijaya actively campaigned in support despite the violent opposition to it by the Janatha Vimukthi Peramuna (JVP) Ultimately Vijaya was killed in February 1988. Some of the Tamil groups regarded as left of centre maintained contact with Vijaya. One of these was the Peoples Liberation Organization of Tamil Eelam (PLOTE) led by Kandiah Umamaheswaran alias Mukunthan. The Indo-Lanka accord provided for a general amnesty and created space for Tamil militant groups like PLOTE to enter mainstream politics. PLOTE led by Umamaheswaran wanted to engage in democratic politics. Umamaheswaran wanted to relocate some of his cadres to Colombo to do political work. There was however some anxiety and concern for their safety. The UNP government was not trusted by PLOTE. The LTTE was also feared. So a request was made to Vijaya Kumaratunga to provide security. Vijaya agreed and delegated the task to Bharatha Lakshman who rented out a few houses in the Wellampitiya area. The initial batch of PLOTE cadres sent to Colombo were housed in these residences. Bharatha Lakshman and some of his SLMP activists provided round the clock security to them. Later Umamaheswaran himself came to Colombo and a party office was set up in Kollupitiya. Other safe houses were set up in Colombo and the Mt.Lavinia-Ratmalana areas. The Wellampitiya safehouses were dismantled. Although of short duration amounting to a few months the role played by Bharatha Lakshman in this exercise was commendable. I remember Bharatha bringing a PLOTE member known as “Maran” and introducing him to me as the media liaison man. Maran used to bring PLOTE press releases and propaganda material to journalists in 1987 – 88. While working as a trade unionist within the SLMP, Bharatha Lakshman also got involved in electioneering. He first contested and won a seat in the Kotikawatte-Mulleriyawe Pradeshiya Sabha. Later he contested the Kolonnawa Urban Council polls and was elected in 1979 and 1983. He was the leader of the opposition in the Kolonnawa Urban Council in 1983. After joining the SLMP Bharatha Lakshman contested the Western Provincial Council elections in 1988. He was elected as a Western provincial councillor. This was the time when the JVP was targeting politicians participating in provincial councils created through the Indo-Lanka accord. 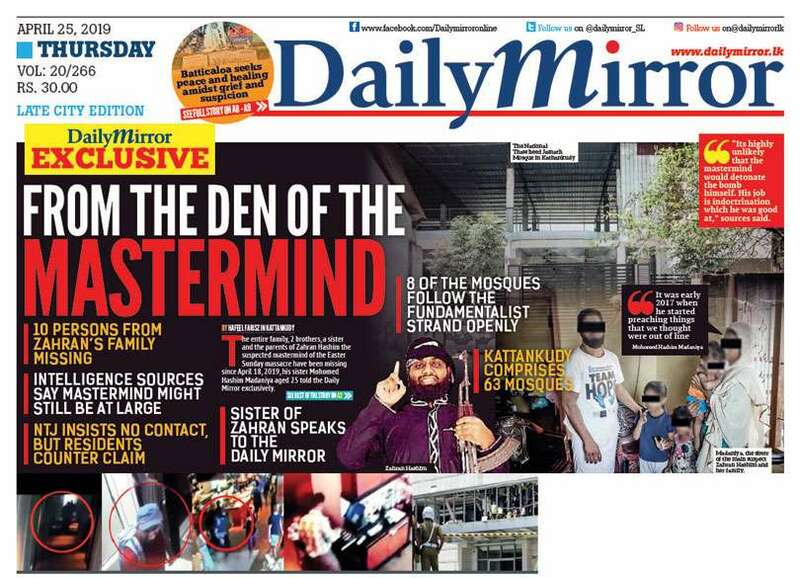 It was during this time that a lone gunman suspected of being JVP targeted Bharatha Lakshman at his residence. But Bharatha’s father despite his age bravely confronted the would be assassin. There was a scuffle and Bharatha too plunged in. Then in an unbelievable feat of bravery, Bharatha Lakshman seized the firearm and shot dead the man who came to kill him. This incident increased Bharatha Lakshman’s image and stature within the party and area. He was now regarded as a tough guy and acquired a “chandiya” persona. The fact that he had fought and killed in self – defence was overlooked. Nevertheless this ‘chandiya’ image helped him counter the twin threats posed by UNP and JVP. Chandrika Kumaratunga retuned from her self-exile in Britain and engaged in politics. After breaking up with the SLMP she teamed up briefly with Dr. Rajitha Senaratne and then returned to the SLFP. Bharatha contested the WPC elections again in 1993 and won. Chandrika forged a multi-party front led by the SLFP known as the Peoples Alliance (PA). Bharatha Lakshman Premachandra too aligned with her and in 1994 contested on the PA ticket. 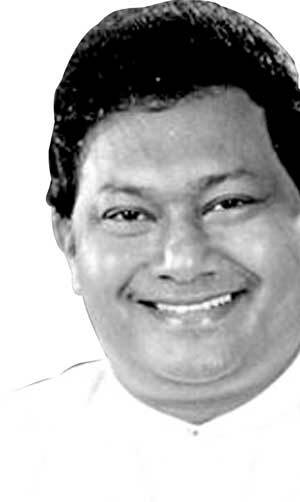 He was elected as a parliamentarian from the Colombo district. He was elected MP in two subsequent elections held in 2000 and 2001. He was not assigned any ministerial portfolio then by Chandrika. Disappointed, he drifted away from Chandrika Kumaratunga politically and personally. Bharatha had always enjoyed good rapport with Mahinda Rajapaksa but now he got even more closer. This was a time when the man from Medamulana was a virtual loner in the SLFP where the Bandaranaike family hold was firm. Bharatha however was not lukewarm in his support to Mahinda within the party and backed him strongly as opposition leader, Prime minister and Presidential candidate. He worked tirelessly for Mahinda Rajapaksa in the 2005 presidential campaign. Despite Mahinda’s success Bharatha had not been so fortunate. He had failed to get elected in 2004 to Parliament. This effectively deprived him of an opportunity to be a minister or deputy minister. He also lost the post of organizer for the electoral divisions of Borella and Kolonnawa to UNP “crossers over” Thilanga Sumathipala and Duminda Silva. President Rajapaksa appointed him as a special presidential adviser on trade unions and provided him with an office at the Presidential secretariat. He was also given two bodyguards from the Presidential security division. Premachandra functioned effectively and helped resolve some prickly trade union issues through behind the scenes negotiations. After Premachandra’s demise, then President Rajapaksawas to tell media heads of how he had offered the Ratmalana electorate organizer post to Bharatha who had turned it down He had also declined an invitation to contest the mayoralty stakes as UPFA nominee for the Colombo city. President Rajapaksa’s statements indicate that being a pugnacious political fighter , Bharatha Lakshman did not want to be driven out from his home turf. After all this was the area where he spearheaded a SLFP renaissance against the formidable UNP amidst tremendous hardship. He was in no mood to abandon the electorate he nurtured to a Johnny come lately with a disreputable track record. Premachandra defied the party leadership in his own way by continuing to nurse the Kolonnawa electorate despite being replaced as organizer. He rejected offers to move elsewhere and with dogged determination aimed at re-establishing his hold on the area and regaining his lost status. The local authority elections of 2011 saw a proxy battle for preference votes within the UPFA between Bharatha Lakshman Premachandra and Duminda Silva in the Kotikawatte-Mulleriyawa Pradeshiya Sabha. Bharatha backed his disciple and incumbent chairman Prasanna Solangaraachchi.Duminda Silva worked against him and propped up others. It was widely alleged that Duminda was in cahoots with drug kingpins like “Wele Sudha”..Rightly or wrongly many people believed this. He was nicknamed “Kudu Duminda” by some. The campaign was nasty and affected by violence. Bharatha Lakshman with three decades of political experience turned it into a moral crusade against drugs and drug dealers.Popular antipathy towards the “kudukaraya” menace struck a responsive chord in the hearts and minds of the voters. In an unexpected twist former Defence secretary Gotabhaya Rajapaksa sullied his “puritan”image by identifying himself openly with Duminda Silva. This resulted in Bharatha Lakshman Premachandra “respectfully”criticising Defence Secretary Gotabhaya. This defiant conduct by Bharatha made his confidantes fear for his safety. When results were announced it was a great political triumph for Bharatha.His “candidate” had got a record number of 42, 322 preferences. His rival’s nominee had only got 5811 preferences. The voters had overwhelmingly endorsed Bharatha Lakshman’s war against the drug mafia.In the process he had demonstrated that he was still a political force in the area.Sadly Bharatha Lakshman was not alive to savour his victory.Fate’s moving finger had written his epitaph already. On election day Bharatha was campaigning in one area and Solangaraachchi in another. Duminda Silva and his group campaigning in another area were reportedly in high spirits after imbibing liquor.At one stage Duminda and his accomplices went up to a polling booth in close proximity to Solangaraachchi’s residence. Duminda asked Sollangaraachchi’s wife Madhu whom she voted for.There was a verbal altercation. When Madhu’s mother in law remonstrated Duminda Silva abused her also using obscene words. Some allege that both women were roughed up. Duminda also continued to intimidate and threaten Solangaraachchi’s supporters at the spot. Bharatha Lakshman was informed of what was happening. Since he was close to the spot, Bharatha rushed to the area with his comrades. Duminda heard that Bharatha was coming and left the place. Both convoys met on the roads near Walpola junction. Bharatha and Duminda both got down from their vehicles and moved towards each other. Bharatha asked Duminda why he was trying to bully and frighten women in a cowardly manner. Duminda suddenly hit Bharatha and also kicked him. Taken by surprise Bharatha fell down. At this point Duminda ordered his men to open fire. Realising the seriousness of the situation , Bharatha’s armed “Official” body guard also opened fire. Bharatha’s comrades who served as his unofficial bodyguards were unarmed.Bharatha and three of his comrades were shot dead. Bharatha was fired upon while he was lying on the ground. His official body guard too was injured. Many suspected that Duminda Silva had engineered the incident to lure Bharatha into a trap and then attack him. Instead of the culprits being arrested the country was regaled with a massive mind – boggling cover up exercise. It was alleged that Duminda Silva was seriously injured in the shoot – out. He was admitted to Hospital. Both President Rajapaksa and his brother the Defence secretary visited Duminda at hospital. Gotabhaya was extra attentive towards Duminda. Special protection was provided. Outsiders were not allowed to go near Duminda. Finally he was escorted amidst great security and was flown to Singapore. It was said that he had sustained many injuries and needed extra medical treatment. Later when Duminda returned to Sri Lanka , he told courts that he was suffering from partial memory loss and could not remember what had transpired on the day in question. The ordinary people however knew and realised what had really happened. Whatever the actual situation concerning Bharatha Lakshman’s death, in popular perception he died a heroic death at the hands of cowardly assassins There was also sympathy because of the opinion that he had been betrayed by those for whom he fought valiant political battles.The manner in which Bharatha Lakshman was killed and the cover up that followed evoked widespread anger and resentment. When President Rajapaksa went to the Premachandra residence to pay his respects the reception from people gathered there was cold. Namal Rajapaksa was hooted at when he went to the funeral parlour. Bharatha Lakshman Premachandra’s friends, supporters and well-wishers perceived their beloved “Lucky Aiya” as a knight in arms who was constrained to take up arms to fight against the forces of evil.In an exhibition of modern chivalry he had apparently rushed to the aid of a distressed damsel or dame and was murdered in a cowardly fashion. In the emotional aftermath following his murder,Bharatha Lakshman’s doting daughter Hirunika Premachandra announced that she would emulate her father’s example and take to politics.While the main narrative of Premachandra’s death was viewed through the prism of political rivalry and law and order there also emerged a subaltern narrative that looked upon him as some kind of a latter-day folk hero. The massive crowds attending his funeral at Umagiliya grounds and the spontaneous popular response to his daughter vowing to follow in her father’s footsteps were indicators in this respect.